The innovation of photography at the turn of the 19th century helps give us a better understanding. Shorts owe much of their contemporary origins to the military. Possibly the earliest example (1880’s) of modern-day shorts, is the uniform of the heavily respected Gurkha soldiers of the Nepalese army. (Much like our khaki shorts of today, but four generous pockets and a distinctive cummerbund waistband with buckles and adjustable straps) The British East India Company defeated the Gurkha soldiers in The Anglo-Nepalese War, but upon surrender had such respect for the bravery and ability of the Gurkha soldiers, that part of the treaty stipulated that Britain could employ their soldiers to fight alongside the British in future battles. Present day, it is a statue of a Ghurka soldier that stands guard in front of The Ministry of Defense at Whitehall, in the heart of the British Empire. During World War I, Britain set up its North American Headquarters in Bermuda. There was a single tea shop on the island and because of the British soldiers, business boomed. The summer heat and the steaming pots of tea made the temperature inside the little tea shop often times unbearable. The owner, not wanting to spend money on new uniforms for his staff, took all the khaki trousers and cut them just above the knee. Rear Admiral Mason Berridge, who took his tea in this little shop, adopted the style for his fellow officers and named them “Bermuda Shorts”. The British Navy founded the yacht clubs in Hamilton & St. George, soon officers of the British Army serving elsewhere began adopting the smart looking, summer version of the khaki military uniform. Before long the men in London, who made such uniform decisions on behalf of the military, stated that standard dress was to be khaki shorts amongst all British soldiers serving elsewhere in the sub-tropics of The Old British Empire. The local people of Bermuda certainly began noticing the smartly dressed British officers milling around the yacht clubs and tailors began copy and modify the style for civilian use. 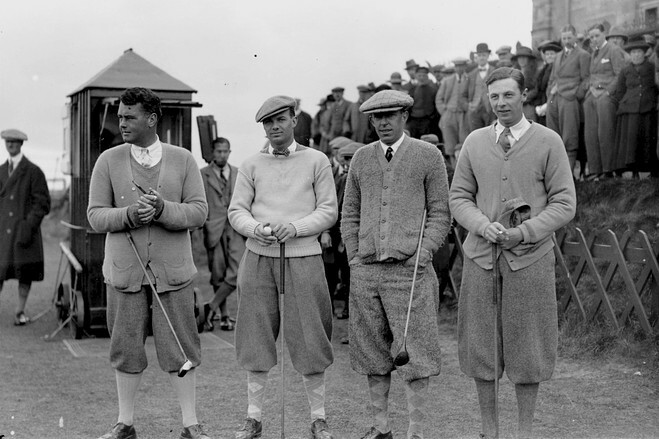 This helped to establish it and by the 1920’s it had become the standard business attire of the local men. At the time, Bermuda was a very popular steamship destination and tourists arriving for winter holiday helped to spread the style back to the United States and elsewhere around the world. 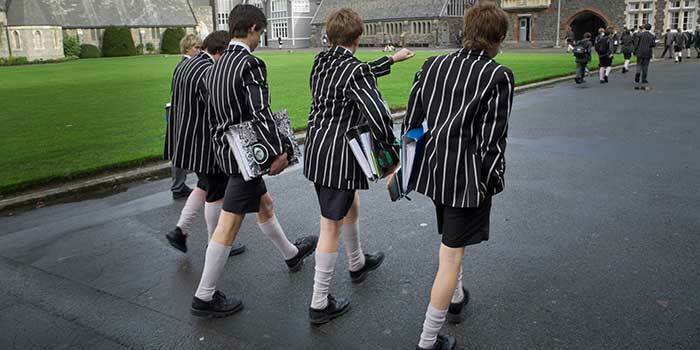 No country has influences the school uniforms worn by children around the world more than England. Originally, uniforms were first adopted by charity institutions to identify the children receiving charity. Only later, did exclusive private schools adopt the uniforms, with the goal of discipline and uniformity, but paradoxically, the uniforms served to famously identify the status of students from prestigious schools. With few exceptions, it was grey flannel shorts, based on the short trouser uniform worn by the British Military in Tropical settings. The style was also picked up by the Boy Scouts, whose founder, Lord Baden Powell, himself a major General for the British Army. As these school children grew up and began to become adults in the world, gradually shorts became more acceptable in society, first, with outdoor activities like hiking and golf and then they made the very public jump to tennis. In 1932, when Britain’s top ranked tennis player, Bunny Austin appeared in the U.S. National Championships in Forrest Hills, Long Island, he wore flannel shorts instead of the standard white trousers. After World War II, Western civil society began to shrug off the conformity that had been required. Society began to reorganize itself as more casual & perhaps took more of a distrustful view of stuffiness. By the 1950’s, in suburban America, Bermuda shorts were seen as essential. Today Hollywood and athletics greatly influences style, Michigan basketball’s 1991’s “best recruiting class ever” that created a cultural shift, from short shorts to a new, longer, baggy short, that asserted ego, personality and a new style of player. A path of success and swagger from five young guys, that ended up influencing style both in the NBA and on the street….James Bond doing now, what Ursula Andress had done fifty years before.